Butterscotch is an old time classic flavor. It is actually my favorite flavor of pudding and had been since a child. 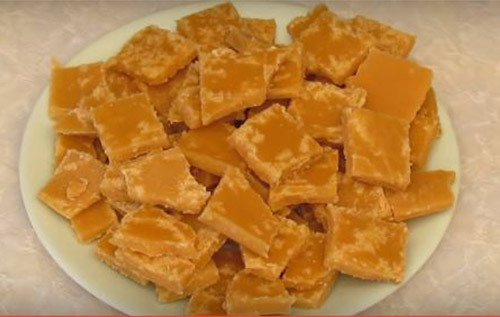 As you may be aware my grandparents were English so they also enjoyed butterscotch back in the UK. I was craving an original butterscotch flavor and came across this recipe I am sharing with you all today, it is from 1934 and has been in use and enjoyed for over 85 years. I gave it a go, made a big batch and had to make a second batch for my work colleagues here at mental scoop. It was safe to say they wanted the recipe too. So if everyone here loved it, I need to get this recipe out to all of you too. Check out the video below for the recipe or if you want to print it off see the recipe here.